2018 was the fourth year of Tourism Growth’s partnership with Cotswolds Tourism – the public-private sector partnership responsible for leading tourism development in the Cotswolds. We’ve now run 16 training courses in the Cotswolds – each event focused on helping tourism businesses build their brand and reputation, and increase their sales and profits. Since 2016 Cotswolds Tourism members have also taken the opportunity to attend the courses we’ve run for the sector in Bristol and Bath. Following the success of our partnership with Cotswolds Tourism – well over 150 owners and managers of tourism businesses have now attended our Cotswolds events – we’re now planning a new series of courses in the Cotswolds for 2019. Partner Project: Read more about Tourism Growth’s partnership with Cotswolds Tourism. 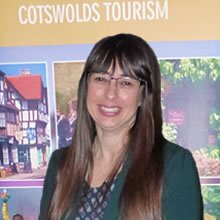 “We’ve been very pleased indeed with the training courses that Tourism Growth has run in partnership with Cotswolds Tourism over the last four years. The events have been extremely popular with our members and with all the tourism businesses who’ve attended. I’ve seen first-hand just how good the Tourism Growth trainers are. They put a huge amount of effort into making the sessions personal to all the delegates and ensuring that everyone benefits – a real skill when dealing with different types of tourism businesses together on the day. Everyone goes home with a whole range of great ideas to put into action back at work. The sessions are practical, relevant and focused on helping tourism business owners improve quality and sales – and on making their operations more profitable. We’re very much looking forward to developing our partnership with Tourism Growth and are delighted to be organising more training courses with them in 2019.